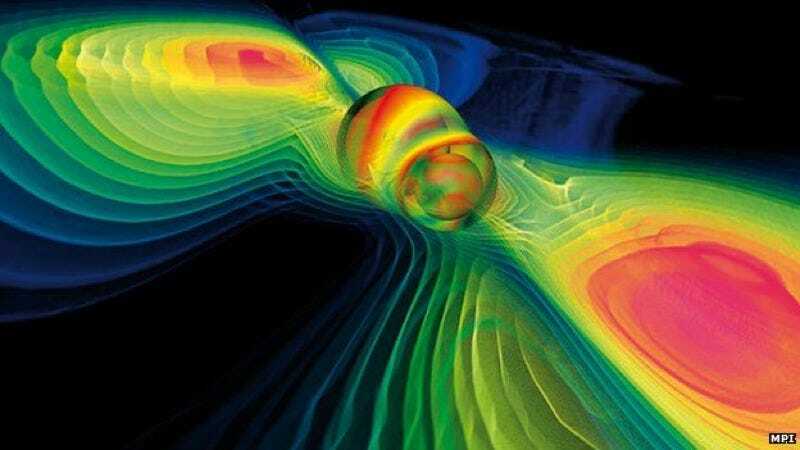 Visualization of gravitational waves. Credit: Werner Benger/Wikimedia. It’s official: we’ve directly detected gravitational waves. And unless you happen to be a PhD physicist, you probably have a few questions. Gizmodo is here to help. Well, actually, Dr. Amber Stuver of the LIGO Livingston Observatory in Louisiana is here to help. She’s one of the many physicists involved in the painstaking, months-long data analysis culminating in this morning’s big announcement. And she’s graciously agreed to field your questions about what is hands-down the biggest science story of the year. Just leave your questions in the comments until 5pm EST. At the end of the day, we’ll collect them and send them to Stuver, who will do her best to satisfy your burning curiosity.